Mike Bonte Goes On The Air! Look what I still have! 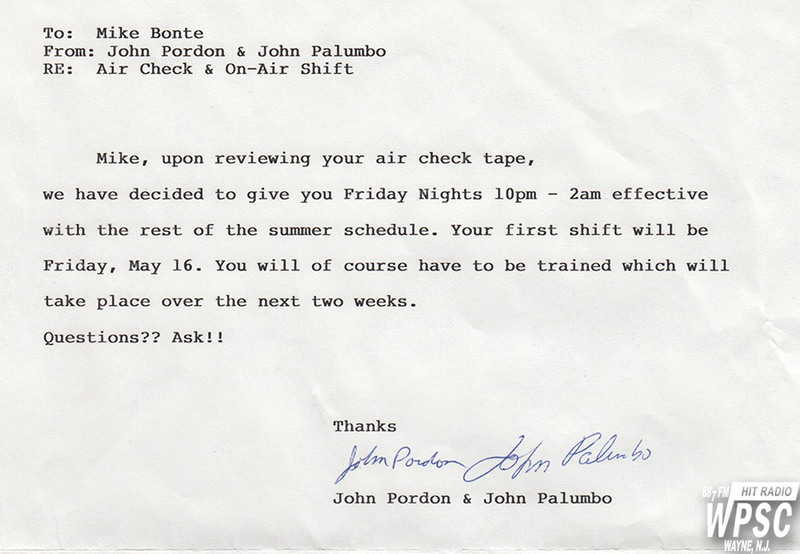 The memo from Johnny P and John Pordon when I received my first air shift way back in May 1997. I was so excited... and nervous!